1. For the most part, these new models are excellent conventional projectors that represent the most advanced 2D video and film projection from a digital projector we've ever seen. Among the product demos, only the JVC DLA-X9 was showing both 2D and 3D. We have seen the Mitsubishi HC9000 in 2D previously, but it was not running in 2D at the show. With conventional 2D content, the picture quality on these two models is nothing short of magnificent. Though we have not seen the Sony, Samsung, and Sharp units in 2D, based on their 3D capabilities, we expect to see excellent performance from them in 2D as well. 2. Though all of these models are 3D-enabled, none of them perform as well in 3D as they do in 2D. At the current state of the art, 3D projection introduces various artifacts that are not present in 2D. These can include ghosting, jerky/choppy motion, dropped frames, and momentary rubbery distortion of subjects in rapid motion. Sometimes there is an oily sheen over the image, as if one is viewing it through cellophane. For units that require a silver screen (the LG and any double-stacked system like that being demo'd by Da-Lite), the screen itself imparts a sparkle to the image that is not present on white or gray screens. Collectively these artifacts degrade the viewing experience to some degree. 3. In the CES demos, while all 3D projectors showed obvious artifacts in 3D, they did not occur to the same degree or frequency among the various models. Much of the frequency and intensity of artifacts was related to the demo material selected by the vendor. Some of the clips were simply more challenging to process than others. If we had to choose a projector that showed the best on the floor, it would be the Sharp Z17000. The picture was brighter and more stable than most of the competition. Though not free of artifacts, the picture was thoroughly impressive (and the aggressive price made it even more so). However, Sharp was showing a clip of the animated film Despicable Me, which was probably the least challenging demo content being used at the show. Our guess is that if the other vendors had used this same clip, their projectors would have shown fewer artifacts than they did. 4. As is the case with trade shows, it was not possible to make any comparative assessment of these new projectors since they were all showing different material under different conditions. The only way to determine how they really stack up is to bring them in and evaluate them using the same sequence of 2D and 3D source material. We will get all of these units reviewed as the review samples come available, but the release cycle this year has been slower than normal due to the extra challenges of getting 3D to market. Ten years ago, digital projectors manifested a host of artifacts and flaws that detracted from the viewing experience. People were concerned with deinterlacing artifacts, pixelation and screendoor effects, stuck pixels, DLP rainbows, dust spots, and so on. While these artifacts were all quite different in nature, they had one thing in common--they all distracted the viewer and disrupted the immersive viewing experience. They took you out of the alternate reality you were in, and reminded you that you were in your room watching a projector with a flaw in it. Over the last ten years, the industry has made great progress in reducing or eliminating virtually all of these annoyances. It did not happen overnight, but over the years video processing got better, resolution increased, pixel grids became invisible, and DLP color wheel speeds increased. Along with all of that, color accuracy, contrast and black levels advanced steadily. Today, the state of the art in 2D is amazingly clean, and approaching visual perfection. Now comes 3D technology, and along with it comes a new assortment of artifacts that either don't occur at all in 2D, or occur only rarely. This is not to say that the pictures are unwatchable. Quite often the pictures from these 3D projectors at CES were breathtaking and mesmerizing, and certainly the dramatic 3D effects are there in spades. And yes, there is a lot of visual excitement and pleasure to be gained from 3D projection that many consumers are going to love. At the same time, the serious videophile will discover that the new array of artifacts ultimately create the same old problem--they distract the viewer and disrupt the immersive experience. You cannot watch for very long without thinking about the limits of the technology rather than the movie. And if you have seen Avatar in a 3D movie theater and anticipate getting the same experience at home, you may be disappointed. None of the home theater projectors we saw at CES were delivering 3D as cleanly as one experiences it in the commercial movie theater. We encourage buyers to think of these new models not as 3D projectors, but as outstanding 2D projectors that happen to be 3D-enabled. They are fine for the occasional viewing of 3D content. And some types of 3D material will be much more successfully displayed than others--animated films and video games come to mind. The existence of 3D artifacts won't stop people from buying these models any more than the existence of artifacts in 2D stopped people from buying 2D models over the past ten years. People have always loved the big screen experience of home theater, and they've always lived with the flaws inherent in the state of the art at the time. Until recently, the greater visibility of artifacts is the price one paid when blowing an image up to 120" diagonal. And so it will be with this new wave of 3D-enabled 1080p projectors. Many people will be quite happy to overlook the artifacts, and sit back and enjoy the current state of the art in home theater 3D. Some of the material out there indeed looks very cool. After having seen the Despicable Me demo in the Sharp booth, I am anxious to see it end to end. Nevertheless, there are many avid videophiles among us who seek video perfection and find technical flaws in the picture annoying. 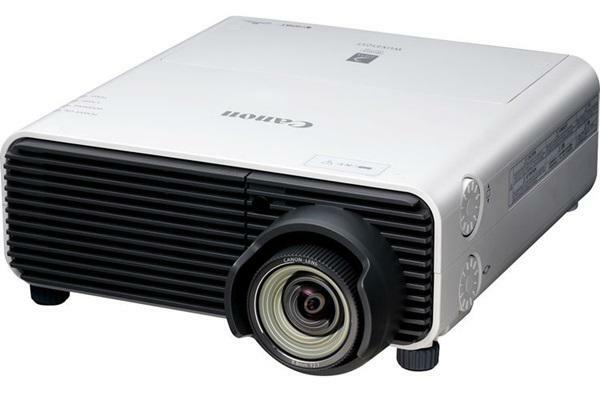 If you count yourself as one of the video purists, you are likely to end up appreciating this latest crop of 1080p projectors primarily for their outstanding 2D performance, and not as much for the 3D capability that is creating all the hype. I wonder if many of the artifacts were due to the fact that many 3D movies were not designed as 3D from the beginning. The only movie I've seen which was 3D from the outset was "How to Train Your Dragon" and it was superb. Natural with excellent perspective. Avatar and Alice were far less impressive and I'd rather not see them in 3D. (or Alice again under any conditions). The CES demos I saw were extremely variable and it will certainly take a long time for the market to sort itself out enough to present a worthwhile offering of consistent software in a single format. It seems many hardware suppliers have bet on 3D becoming the next big thing NOW. And that isn't happening. So the basic question is: does a movie designed from the outset in 3D present less of a challenge to the electronics than one which presumably had more processing and less consistent processing? The passive 3-d demos seemed to show that a hi-gain sIlver screen is essential. The nearby Da-Lite demo was the worst of the lot. Possibly it was a problem with the projectors or the scenes chosen but it would seem that they could have fixed that. Ghosting was dreadful and the image was far worse than the Vutec Silverstar even in less than ideal lighting. Passive 3-Ds advantage of having cheaper glasses is going to be balanced by the need for a more expensive and less flexible (no pun intended) screen. Active 3-Ds glasses can be made slimmer and more comfortable, so the race for the "best" is still on. I can't see why using 2 1080p projectors with polarized filters and silver screen wouldn't give as good a 3D picture as a cinema (when using the same screen material) for around half the price of these new models. There is a 3D digital processor unit that will take 1 HDMI in and convert to 2 HDMI out. And you connect a black out LCD glasses with the processor unit. You got 3D. Seem it in a show as a test type. But you got a lot of problem with this kind of setup. Alinement, lumen, color and so on. Unless you can get 2 perfectly identical LCD/LoCos projectors placed at center of the screen projected at same amount of len shift. You are going to get very bad result. Well it's too late for any of these companies to get my money for at LEAST the next 5 years. I purchased an Epson 8350 for a little under a QUARTER the price of the CHEAPEST 3D projector! Let me repeat that... I could have purchased 4 Epson 8350's for the price of 1 Sharp XV-Z17000. That's just crazy and I don't see anyone willing to put forward many thousands of dollars for just 3D. I would have told you last year that 3D was a mandatory feature for my next projector but these guys just completely dropped the ball (and buried it a few feet under the ground at the same time). I suspect that the root problem is LCD has a crummy refresh rate and cannot handle 120 frames per second with no ghosting so they have to use more expensive technology (LCOS) but DLP should be able to also cope so what's up there? DLP could also have polarized segments on the color wheel couldn't it? I am not sure what artifacts you saw, but I do find some of the artifacting you describe or the way you describe them maybe, to be a bit puzzling. The way most of us will watch 3D is via blu-ray. The encoding of the content is such that any instability in viewing the content should come from the decoder, or the projector but they would be different. The decoder could suffer from poor decode performance (could become overloaded) if it cannot keep up for some reason or due to an error in encoding. Any dropped frame will result in the 3D image being perceived as very unstable. It is in fact imperative that the image be extremely coherent or the effect is simply lost. 3D implies two problems, a suspension of belief where depth has been manipulated to provide the effect (the responsibility is pre-production) and the temporal nature of that effect and how it relates to everything else in the scene. If you drop a frame you destroy both. Any artifact here would be the problem of the decoder or production however, not the display technology. The projector (or any display technology) on the other hand has just been handed a completey different problem which is a spatial artifact created by the temporally related motion of, but potentially spatially different representation of the 3D object. In other words, in any portion of the scene that is static, there should be no difference in performance (other than perhaps light output) between a 2D projection and a 3D projection. But in any motion area of the scene it is extremely important that the display technology is able to cope with the absolute refresh required in order to deliver a believable image. It is a much more difficult problem than simple 2D refresh. Imagine a 2D scene where an object is moving throught the frame, there is a natural isolation of refresh induced temporal artifacts because the only radical changes are happening at the edge (leading and trailing) of the object that is moving in the scene. In a 3D projection this is amplified by the fact that each eye is seeing a slighty different view of the same object so the 'edge' of the object becomes the displacement of the object for each eye. The large the displacement(spatially) for that object, the larger the edge artifact becomes. Imagine a scene where you have large scale offest for each eye (call it 80%). The difference between the perspective for the object as viewed by each eye (80%) is what is changing on a frame by frame basis. This dramatically increases the potential for artifacting induced by the display technology. The third type of artifact is induced by the screen. The sparkly, shimmering, or oily artifacts can only come from the reflected surface used. Now to the part that puzzles me. The technology required to both decode and display the demos you saw is abolutely the same across all projectors. When you say "Some of the clips were simply more challenging to process than others." I think it is a bit misleading. The clips chosen may not have been produced well, or may exacerbate some weakness or strength in the decode technology, but there is nothing 'challenging' about the clip from a processing point of view as far as the projector is concerned. That is a job for the decoders to deal with. As 3D capabilities become more mainstream we are going to have to develop some newish language to deal with these artifacts as they pertain to different display technologies. Even though the display goal is identical, different technogies (LCOS/LCD/Plasma/DLP) will have different artifacts with slightly different results. We will also have to standardize around some testing methodology. It is no longer sufficient to think terms of sharpness, brightness, contrast, fidelity, etc.. all of these play a crucial role but they become somewhat secondary to the overwhelming artifacts produced in a 3D display system. We need a way to categorize screens and how that relatest to the artifacting created by the display technology as some screen types may amplify the problems of any given technology. We need standard test files to use for evaluation as well. Found the article very helpful to sum up about the 3D projectors demos at CES 2011. Regarding Sharp's XV-Z17000, there isn't much technical info available, such as what is the refresh rate (120 or 240 hz), does it accept Side-by-Side 3D input format. I wonder whether this information was shared during its demo at CES. Regarding the artifacts, part of the problem is that the blu-ray 3d format has a frame rate of 24fps which is then upconverted to 120fps. In 2d such upconversion can cause less noticeable artifact compared to 3D, since the frame interpolation is not anymore a simple 2d problem. Motion related problems would be less of a distraction, if these full HD projectors can accept 120hz input that the current crop of 3D ready 720p projectors already do. But since it is not part of the primary standard yet and the bandwidth limitation doesn't permit simpler HDMI solution, I suppose, it may be something we have to look forward to becoming a primary standard in the future. Since some of the artifacts are due to difficult processing of the source movie content, those artifacts are due to the electronics that process the Bluray DVD into an HDMI signal and not likely the projector. This includes "jerky/choppy motion, dropped frames, and momentary rubbery distortion of subjects in rapid motion. Sometimes there is an oily sheen over the image, as if one is viewing it through cellophane". Thus, the test should include evaluation of the player used (e.g. PS3). Although they are 1080P projectors (vice 1280P or 1080i), there are limitations. So far the blu ray standard will not permit display of a 3D test image composed of a 1080P checkerboard at per pixel spacing that reverses 24 times per second. Interesting note related to performing evaluations, the brighter the image becomes, the more some artifacts become visible to the naked eye. (Try severely shrinking/expanding the screen size to see what I mean). Regarding home theatre versus movie theatre 3D, I noticed Avatar on IMAX 3D was better than the other 3D movie theatres. Thus, if you are insisting on the very best, then install an IMAX theatre in your house. I have an Acer h5360 and the 3D is gobsmacking!! Not a sausage of crosstalk even on imax films. Blacks a pants in 2D but in 3D not bad at all. Rainbowing can be annoying in 2d but not noticable in 3D. Having not seen these new 1080p 3D projectors I can't really say they arn't worth £4k+ but personally i'd get a really nice 2D projector and the £470 acer for 3D, as long as you dont mind spoon feeding a signal via computer you wont be disoppointed. 720p is fine for 3D, everything is pin sharp, clear and with the settings right you get plenty of "pop". my girlfriend was blown away when she saw open season, its a shame they dont demo this many places. Even if you one of thoughs people that has to have the best you should give this a try and wait for the 1080p projectors to become more refined. To an unwitting viewer crosstalk is distracting but greyish blacks and lower res isnt. I have the JVC RS50 and I have to say this is the best looking 2D picture I have seen, and wow, what it does for 3D. Where others show ghosting in a big way, the JVC so far, out of 29 movies on Blu-ray, has shown me none. I am so happy with this projector on my Elite 150" screen, it's the best purchase I have made in years! First of the THX certified 3D models, the THX mode blows my socks off....My hats off to JVC! I'll wait and see what Panasonic comes out with. They skipped a year, and I'm sure they'll be coming out with an awsome 3D model in Sept. or Oct.
Agree with terrytrog, for less than US$600 you can get yourself a 720p DLP 3D ready projector which puts out a great 3D image. Avatar is amazing on this thing. Keep your 1080p 2D projector (like I have) and only use your DLP for 3D. For those worried about having to play everything through your pc, Optoma are releasing the 3D-XL which will allow you to watch 3D content through any DLP 3D ready projectors using bluray players, PS3's or payTV set top boxes. Not sure why they don't make LED home theater projector? Those would be easy to archive 3D with its advantage brightness. I bought an Acer H5360 for $600 just to test the 3D waters and was stunned by the incredible 3D image this little giant slayer put out on my Da-lie HP 2.8 gain screen. This is the best consumer purchase I've ever made, and I've made many! I'll take the little Acer over my gamma corrected Sony G90 CRT and my Epson 9500, which both cost multiples more! Nothing I've seen at the IMAX in 3D looks as good as what I'm seeing at home. Unlike the Sony 3D projector which disables its DI in 3D or the JVCs which cut their CR by 1/2 in 3D the Acer plays catch up and its CR in 3D with glasses on is really quite respectable. Ghost free, no flicker solid image with great depth. Who'd believe you could get this kind of performance for this price. I am looking for a 3d projector that supports checkerboard format. It seems to be the only way to get around the full screen only limitation of HDMI 1.4. Will this unit support it? I just installed a 60x80 screen in my living room and now i read that you need a hi-gain silver screen. Forget it! The problem is not just projection artifacts but lack of movie content. There simply isnt enough out there to warrant purchasing a projector. I would love to see the old 3D movies of the fifties released in their original polaroid process which was vastly superior to the red/green process. But their has been a problem getting them converted to video. Some people cant even watch 3D due to eye problems. I dont even like dlp due to the rainbow effect. Maybe in time 3D projector technology will improve. Im just holding out for now. Hi what 3D material have you viewed? I am told that currently almost none of the older tech non 1.4 hdmi models are capable of displaying blurays in 3day! For 3D playback, I am considering purchasing acer H5360 or Optoma HD66. Can you describe your setup? Do you know if the PS3 (120 GB HD, second genration - prior to slim line) can be used as a source of 3D signal or your have to buy the Optoma 3D-XL connected to PS3? What glasses do you use? etc..I would appreciate your detailed response. To answer John myers question. The fact that a film was made, or shot, in 3d doesn't matter to the electronics. The problem comes from taking a 2d image and then converting that to a left and right image to create the 3d effect. With animated movies, dragon, pixar movies etc this is easier to do. With live action films it currently has to be done by hand on a shot by shot basis. The requires a lot of individual judgement by the artists and directors etc. That's why sometimes it works and some times not so well. Do we have any 3D projectors that use the regular polarized glasses like the movie theater?